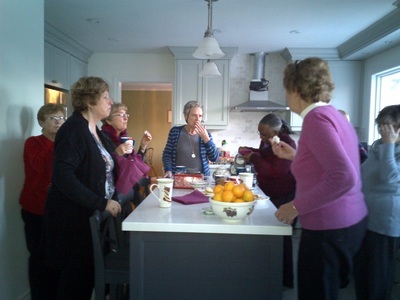 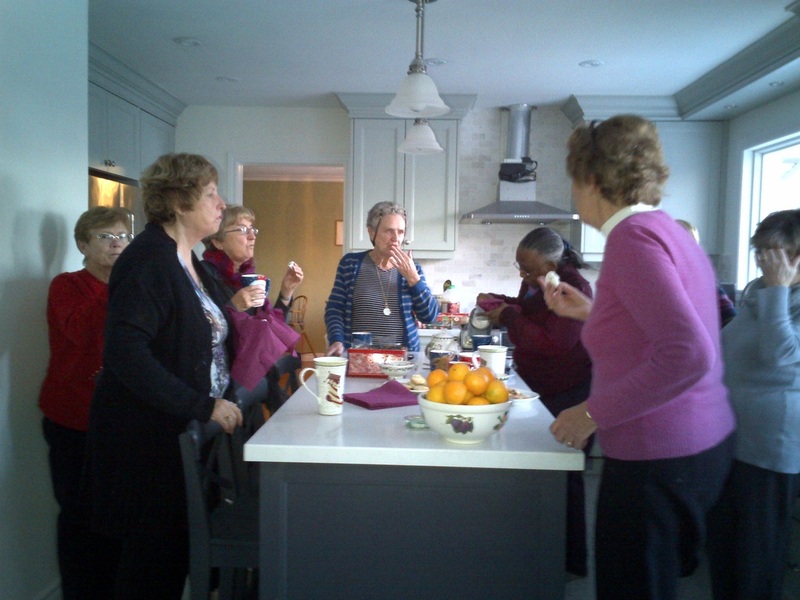 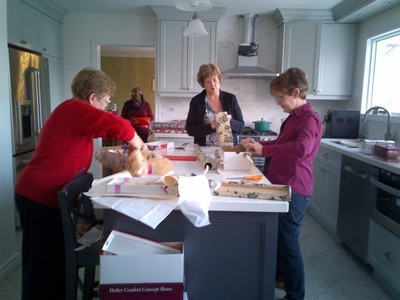 The Project was founded in 2011 by four Mulroney sisters-in-law as a not-for-profit company. 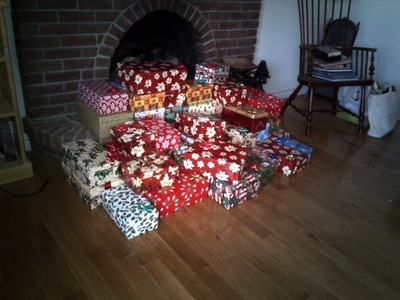 It is not a charity. 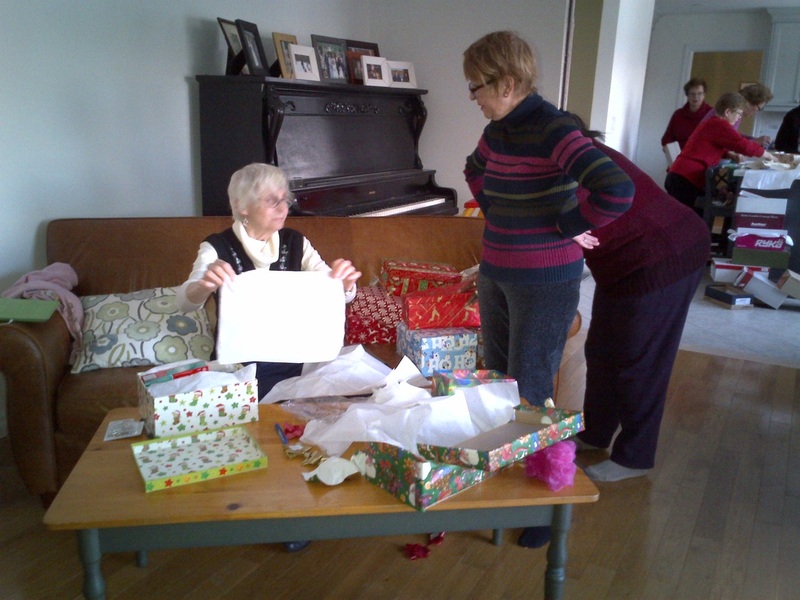 They came up with the idea of providing Canadian women in shelters with a shoebox full of pretty and/or useful items at Christmas. 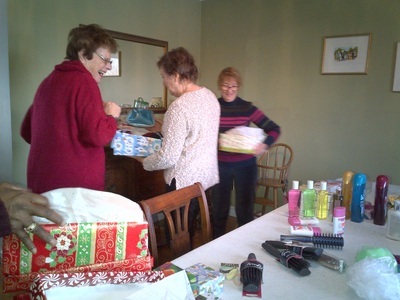 Last Christmas they delivered close to 2,700 shoeboxes to women’s shelters. 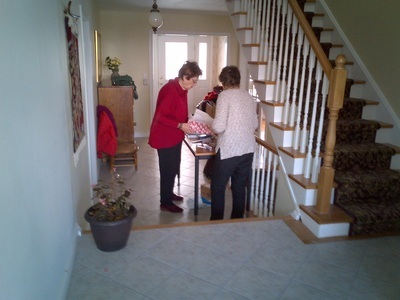 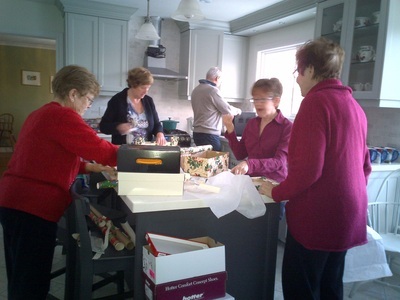 They have a branch organization in Mississauga which will deliver the boxes locally. 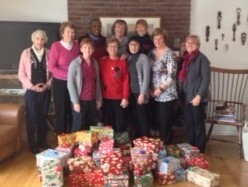 Their goal in our city is to deliver 260 boxes. ﻿Please follow this link﻿ ﻿to the﻿ Shoebox Project site for more information. 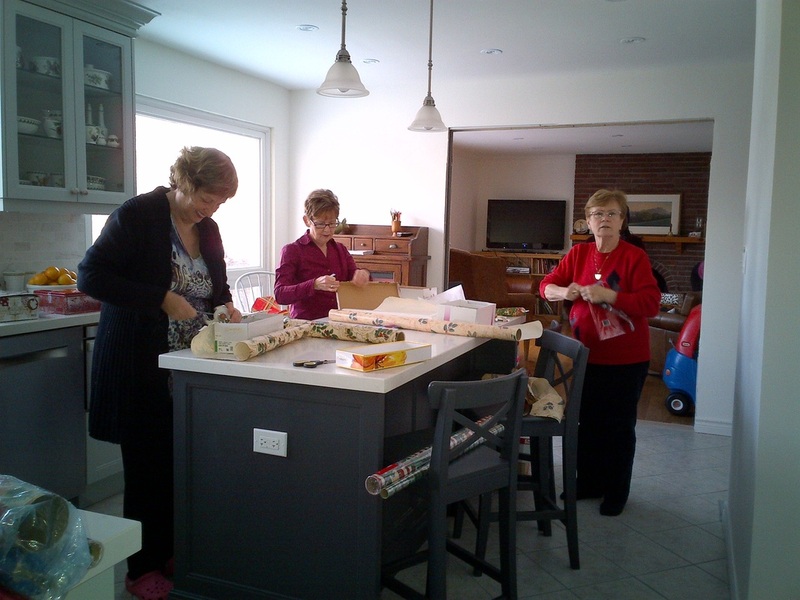 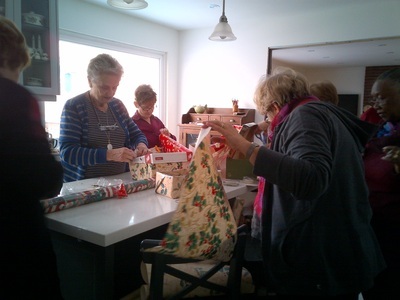 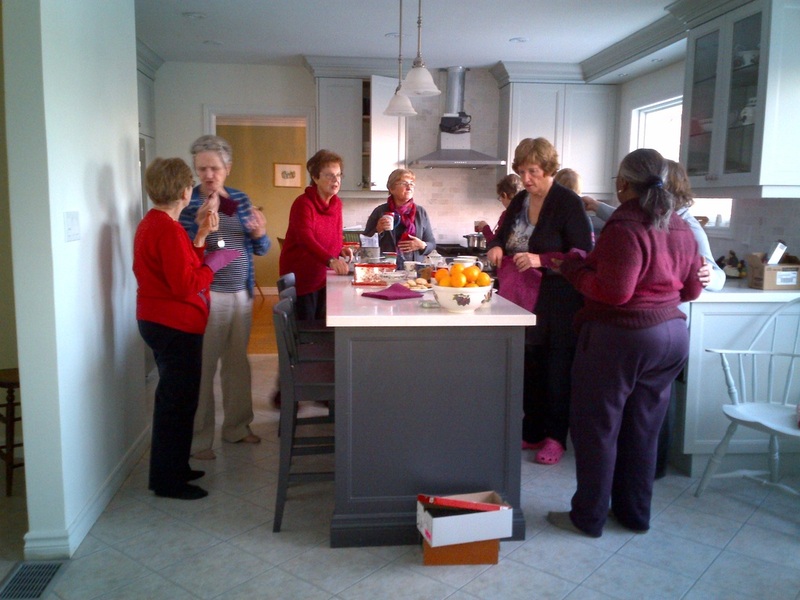 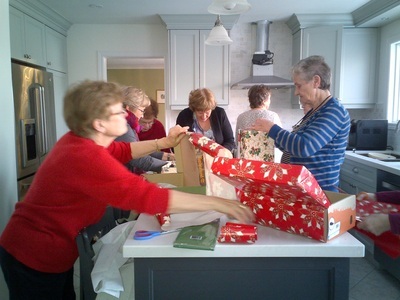 The CFUW Mississauga Issues Group decided to to support the Mississauga Shoebox Project to create gift boxes for women living in Mississauga Shelters again this year. We were delighted at the generous support of all the CFUW membership in providing gifts for the boxes and those who helped us decorate and fill the many boxes. 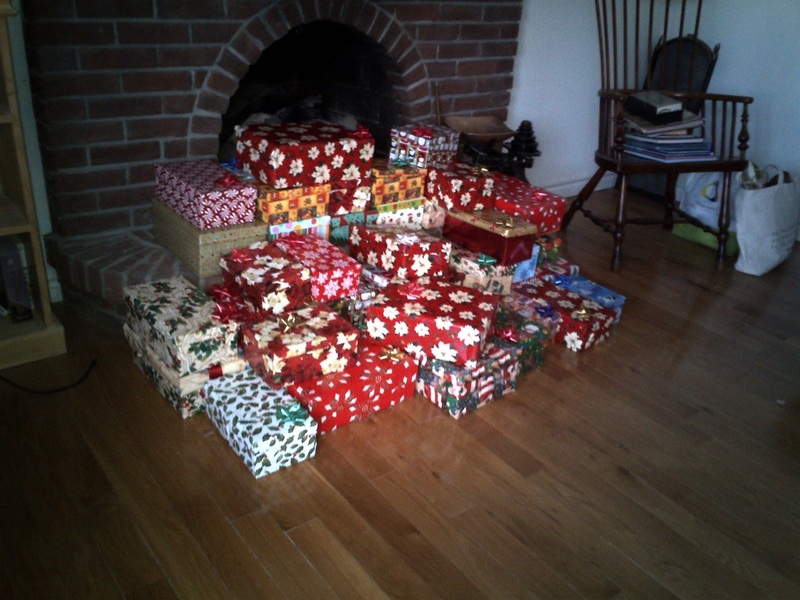 Note: for a summary of our 2013 results, please visit the Shoebox Project 2013 Page.